Maine lawmakers are considering the addition of sports betting, so local residents could be able to place real money on live sports events as early as 2020. At the time, there are at least three bills aimed at regulation and taxation of sports betting in Maine, which are pending in the State House, at a time when an increasing number of US states are seeking to make sports betting legal and take advantage of the emerging market. Representative Jeffrey Evangelos, who is one of the proposed measures’ sponsors, noted that Maine should try getting a piece of the sports betting market which was officially opened in May 2018 after the US Supreme Court lifted the federal ban on this type of gambling and provided the states nationwide with the chance to decide for themselves whether or not to add it to their gambling sectors. However, there has been disagreement between Maine lawmakers in terms of sports betting, as they have not been sharing a single opinion in regards to organization, regulation and taxation of the new form of gambling. 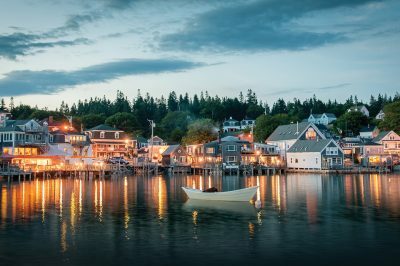 Maine lawmakers have been also having controversies regarding the economic benefit which is set to be brought to the state in case sports betting is legalized. No reliable estimates regarding the size of the illegal gambling market in Maine have been available for the time being, which has also made it hard for local lawmakers to assess the possible benefits for the state. Apart from the positive effects which such an addition could have on the state, questions regarding the possible negative impact of the new form of gambling have also emerged. Some Maine lawmakers have expressed their concern that gambling could encourage corruption in sports, or that it could fuel an increase in local problem gambling rates. The co-chairman of the Veterans and Legal Affairs Committee who is also a sponsor of another sports betting bill, Senator Louis Luchini, has explained that the possible negative effects should be considered every time when a possible expansion of the gambling sector is unveiled. Senator Luchini has also shared that gambling bills are always controversial, so Maine Legislature should take some time to consider all possible aspects of the proposals in order to come up with a responsible solution. Only a couple of bills aimed at legalizing sports betting have been presented in full so far, but there are three more which are still being drafted. The first piece of legislation, L.D.1348 sponsored by Representative Evangelos, seeks to allow Maine adults who are over 21 years of age to gamble on professional and amateur sports at local racetracks, casinos and off-track betting premises. Online sports betting is also sought to be legalized. Operating licenses will cost $30,000, and after that, gambling operators will have to pay a 25% tax on their sports betting revenue. 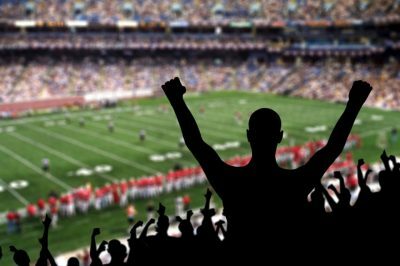 The other piece of legislation, L.D.1515, sponsored by Representative Dustin White, seeks to allow people over 18 years of age to gamble on sports events. Unlike the other proposed bill, sports betting would be available only in retail harness racetracks and off-track betting parlors. The initial licensing fee that is set to be paid by gambling operators is set at $5,000, and an 18% tax is planned to be imposed on the sports betting revenue of gambling operators.